Coming close to the big ole review number 150, and well, I’m trying to review as many of the samples I’ve traded for as possible. This sample comes from /u/krisjoon , who helped me do a mega swap along with his bro. Great guy, trade with him. 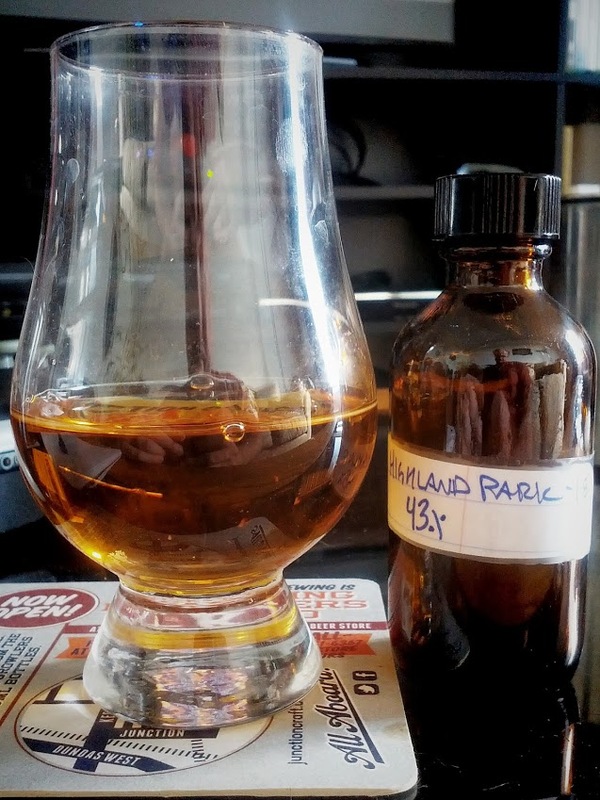 Anyway, we’ll be continuing my kick of Next Level malts with Highland Park 18. I thought it appropriate as I learned so much about Highland Park with my last week reviews, and wanted to see what the “one that is worth it” is all about. What can I say about Highland Park that I didn’t say last time? We’ll, it’s located on Orkney, along with Scapa. They have won multiple medals in international spirit ratings competitions, mostly due to the care and quality of their drams.